Today only, you can get this Nerf Sports Weather Blitz Football on sale for $8.75 (Retail $16.54). Hit the gridiron and play like a pro in rain, mud, or snow with the Nerf Sports Weather Blitz football! 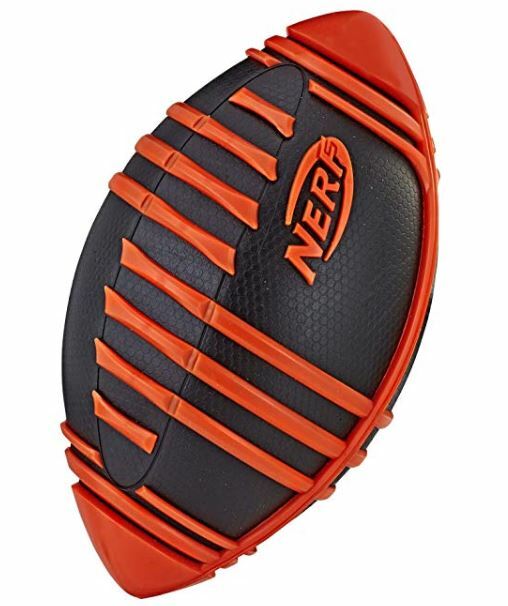 This Nerf football has outstanding durability so kids can play in all kinds of weather. Go for the long bomb in rain, mud, or snow with with the Nerf Sports Weather Blitz football! Nerf and all related properties are trademarks of Hasbro. Don’t miss all of the save up to 80% on Toys and Games from Hasbro deals available today! !